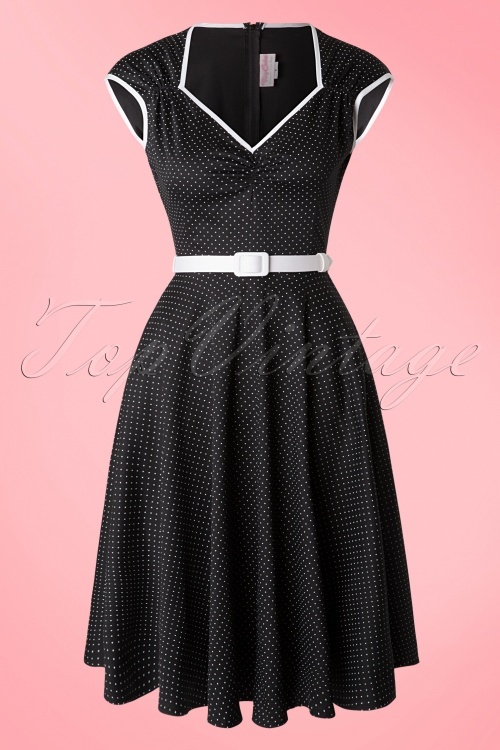 The 50s Heidi Pin Dots Dress in Black by Pinup Couture is a playful swing dress! Beautifully fitted top featuring a diamond shaped neckline, pleats at the bust and playful white piping. 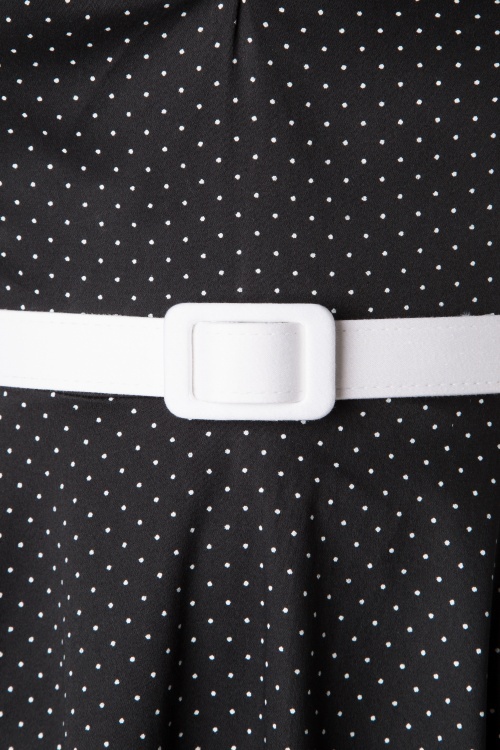 The waist is perfectly emphasized by the detachable white fabric belt from where it's ending into a flattering swing skirt which is also nice to pair with one of out petticoats for an extra festive look. Made from a supple black cotton blend (doesn't stretch!) 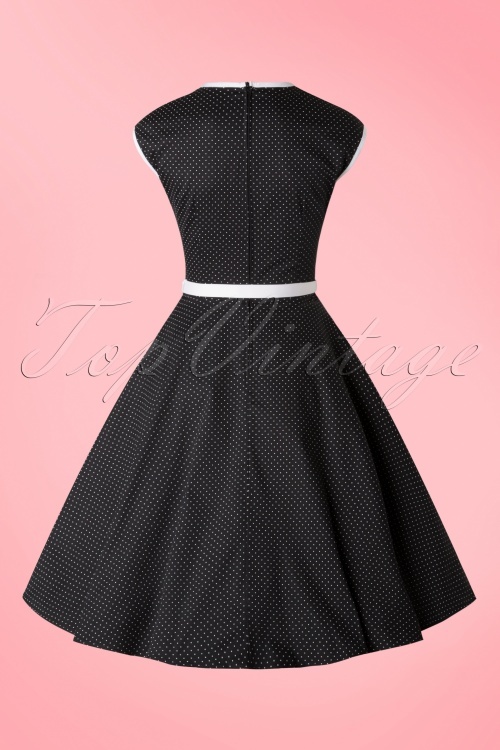 with playful white pin dots and finished off with a hidden zipper at the back. Hits below the knee with a height of 1.70m / 5'7''. Must-have!